To email the school, fill out the form and click Submit. Go to the Schedule section on the home page. Click a Class Levels button for the class you want to take. Click in the class row to select the class you want. The row will turn green. If you clicked on the wrong row, just click it again to turn off your selection. The screen will scroll down and open the Registration form. Fill in your name and email address. Check to see that the correct class is listed in green. If it’s not, fix your selection in the list of classes above. Answer the Captcha test and click the Submit button. If you're still having trouble, call the office at 612-872-6050. Dancers need supplies. Here is where you find them. You can pay by credit card or PayPal by adding an item to your cart, then clickingView Cart to check out. 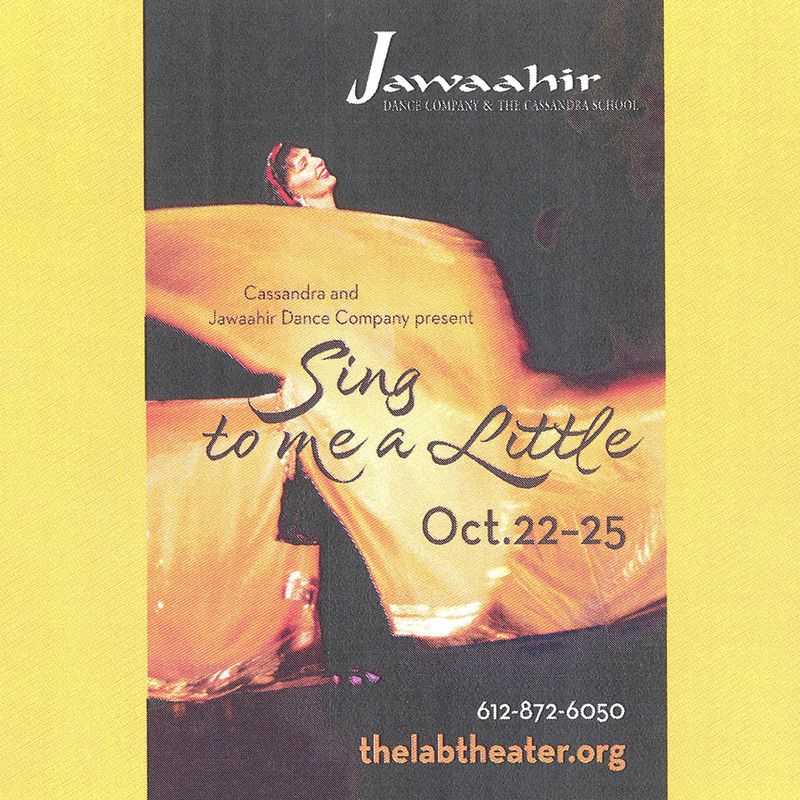 If you don't know the level of your dancer, email or call the office and we can help. Gift certificates are also available in any amount by emailing or calling the office at 612-872-6050. The gift certificate will be mailed to you or you can arrange for pickup at our studio. We have a variety of DVDs for sale. You can save the $5 shipping fee by picking up your DVD at class, if it's available. If you have questions, please contact the office and we will help you. 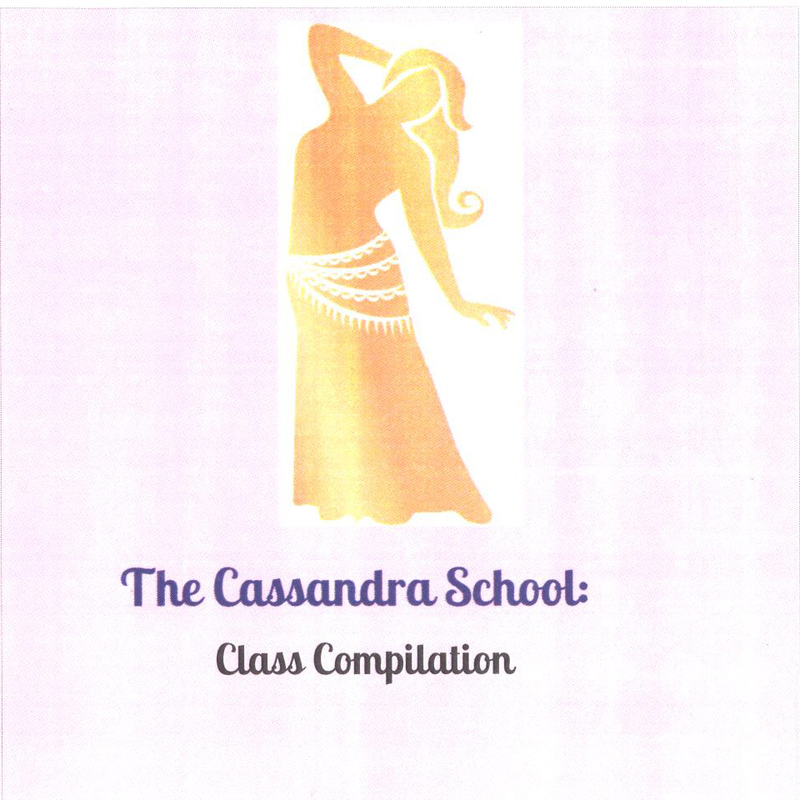 This set is an introduction to Cassandra's unique dance conditioning class. 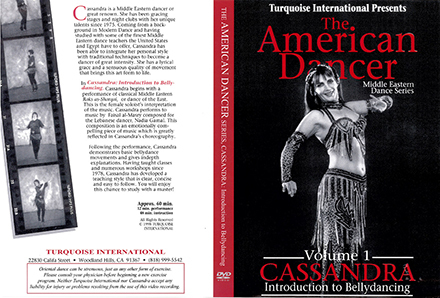 It is designed to introduce you to a proven method of improving technique, and, through better dance conditioning, improved performance skills. 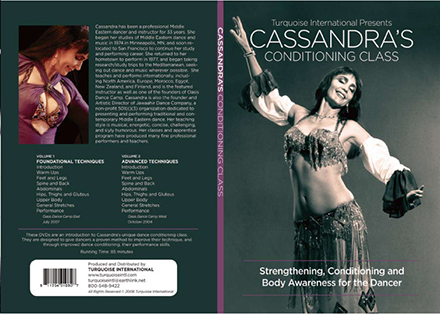 The video starts with a 12 minute stage performance by Cassandra followed by 48 minutes of Cassandra teaching the basic movement vocabulary. 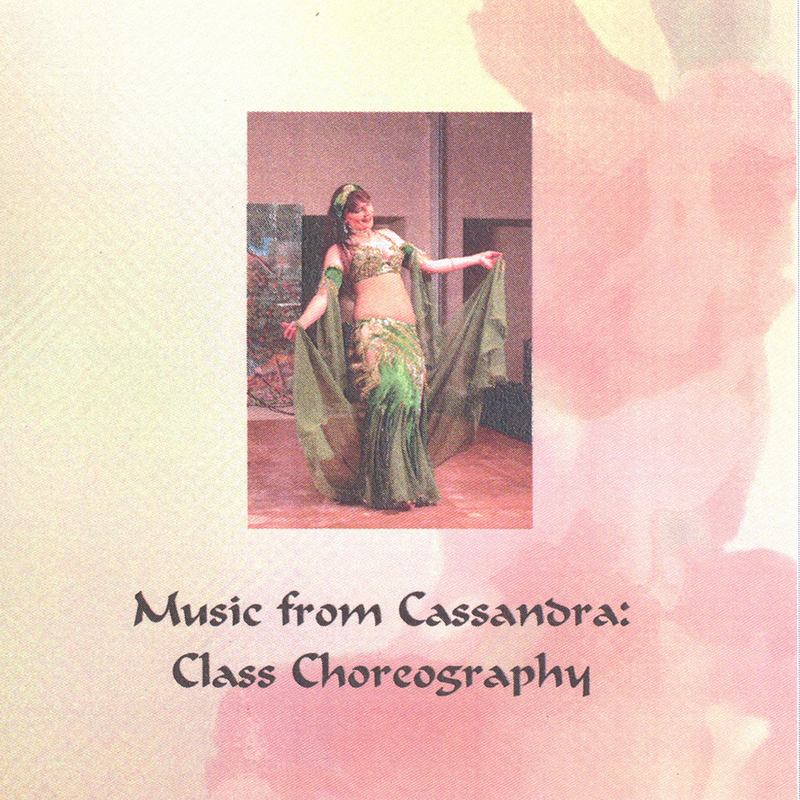 Cassandra focuses on clearly showing how the movements are done so you can start to learn to belly dance. 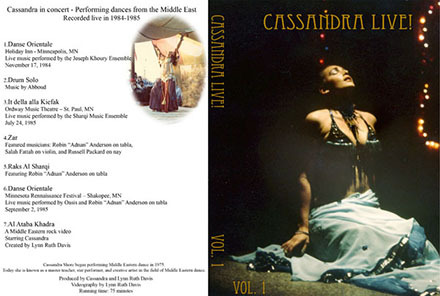 This DVD includes some of Cassandra's finest performances from the 1980s, including her Middle Eastern rock video! 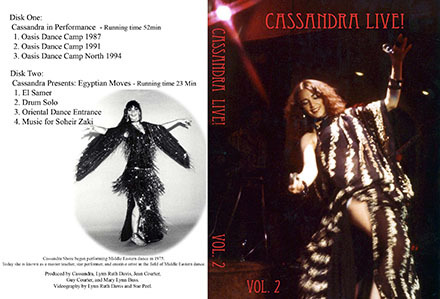 A two-DVD set that includes more of Cassandra's finest performances from the 1970s, 1980s, and 1990s. 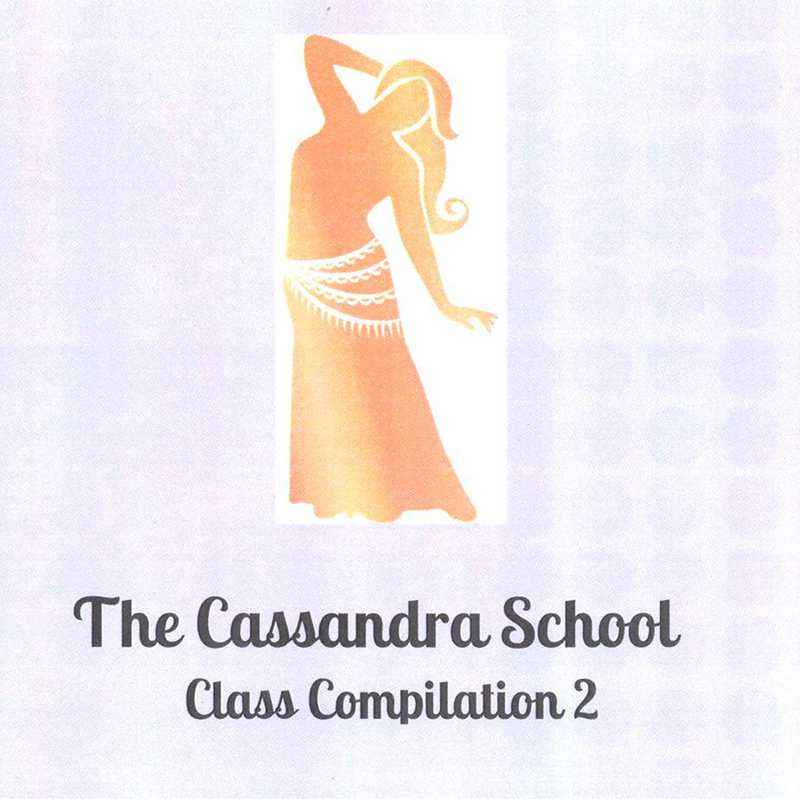 This DVD includes some of Cassandra's finest Oasis Dance Camp performances from 1985-2008. 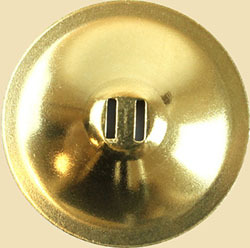 Finger Cymbals manufactured by Turquoise are available as both patterned and plain. 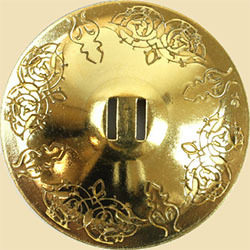 Each set consists of four finger cymbals with elastic and pouch. If you have questions, please contact the office and we will help you. 2 1/16" diameter, includes shipping. 2 1/4" diameter, includes shipping. This is the recommended size for beginners. 2 1/2" diameter, includes shipping. We have a variety of CDs for sale. 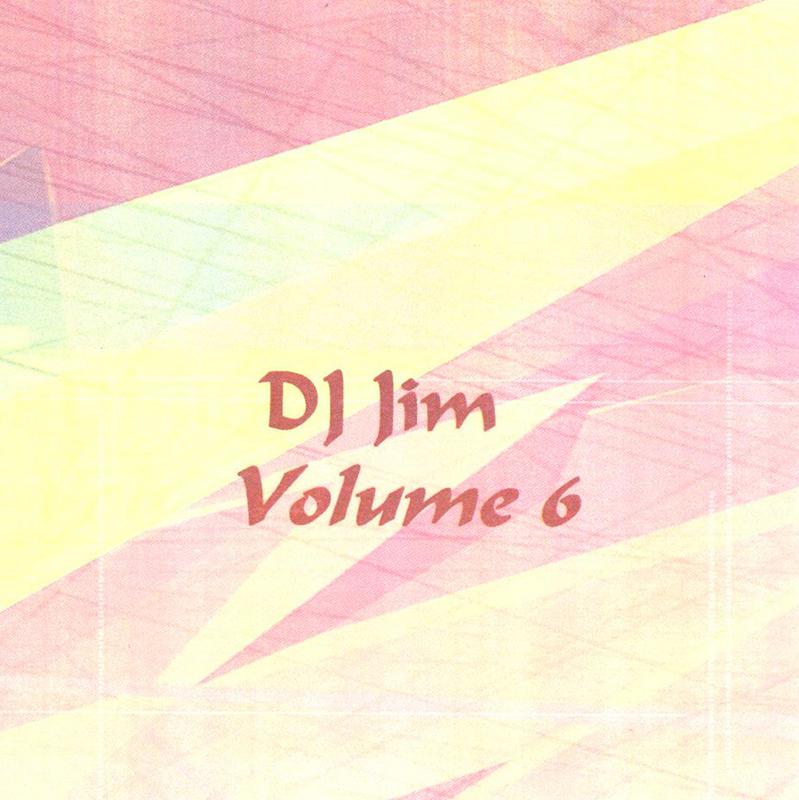 You can click on a link to hear a sample. You can save the $5 shipping fee by picking up your CD at class, if it's available. If you have questions, please contact the office and we will help you. 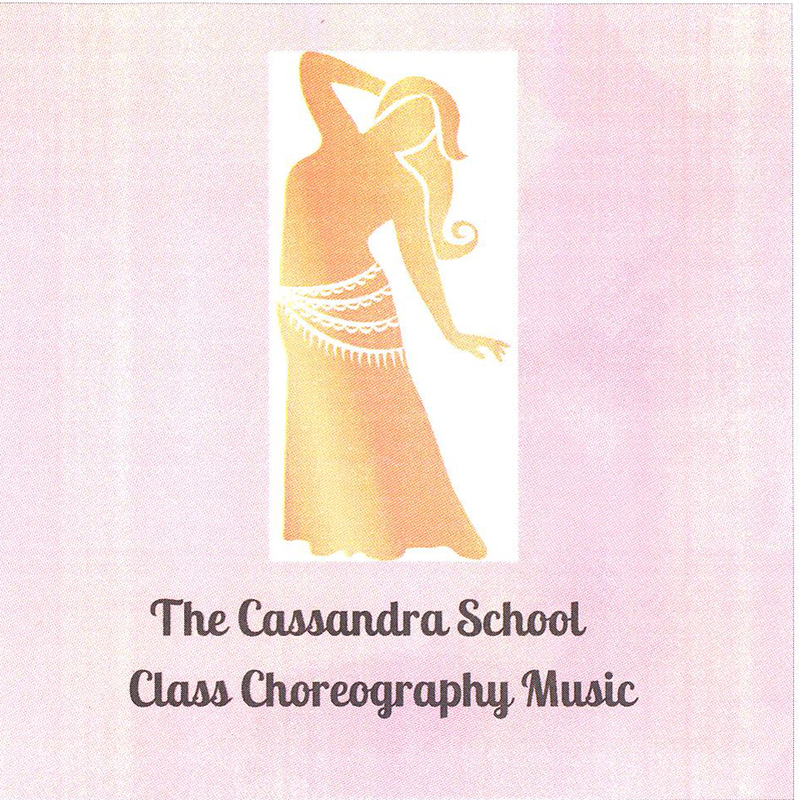 These CDs are often what your teachers use in class and are perfect to use for practicing at home. 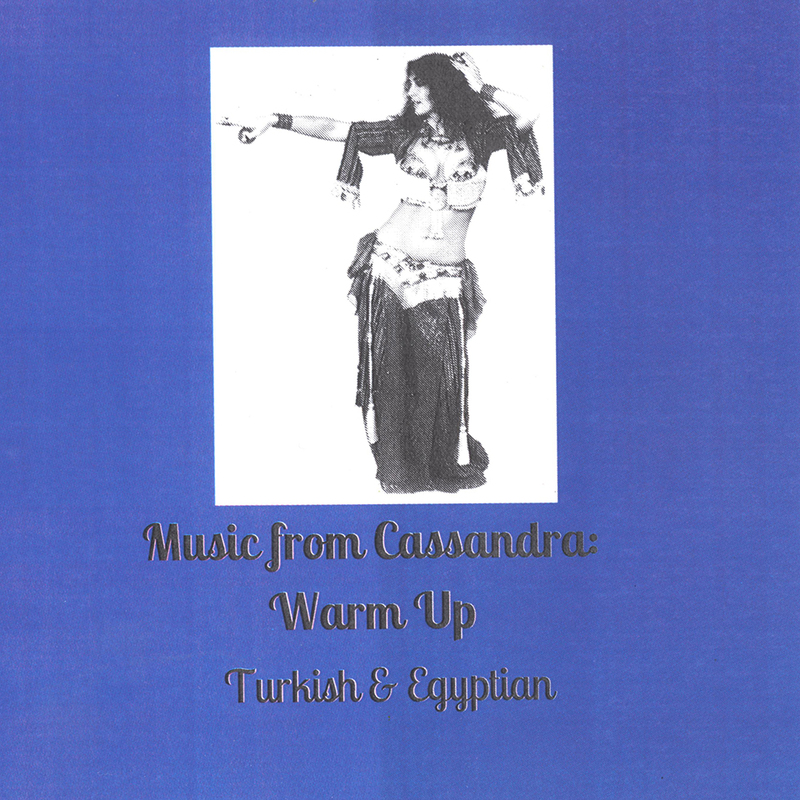 Turkish and Egyptian Music. 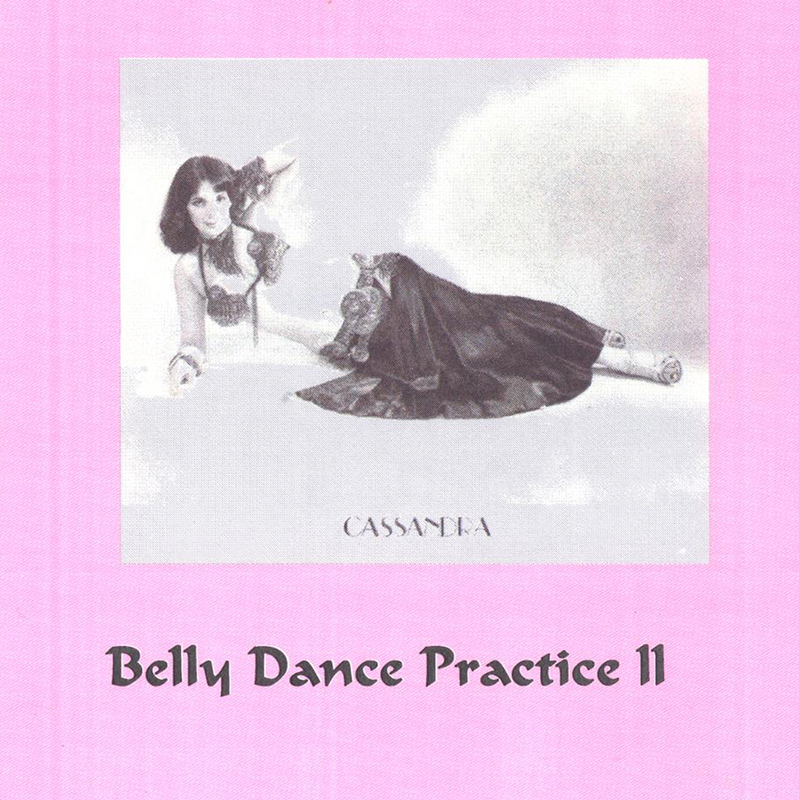 This CD is a great accompaniment to stretching and warming up your body for the day. Includes shipping. Some of Cassandra's favorite practice music. 60 minutes. Includes shipping. More of Cassandra's favorite practice music. Includes shipping. Electronic music that has good continuity of beat from song to song. Includes shipping. More electronic music that has good continuity of beat from song to song. Includes shipping. 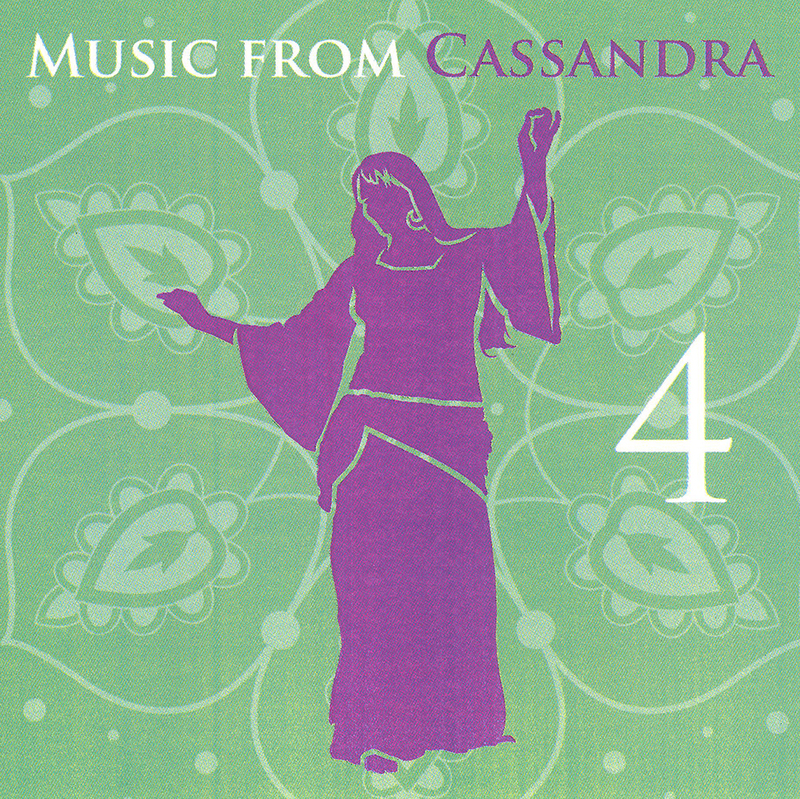 These CDs give you music personally selected by Cassandra. 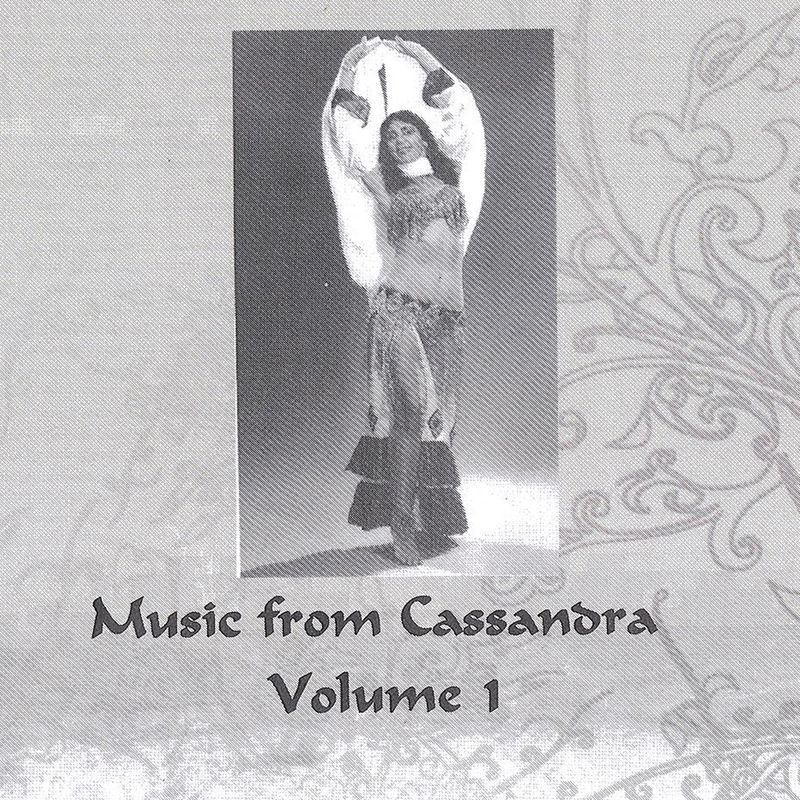 Some of Cassandra's favorite performance music. 60 minutes. Includes shipping. More of Cassandra's favorite performance music. 60 minutes. Includes shipping. 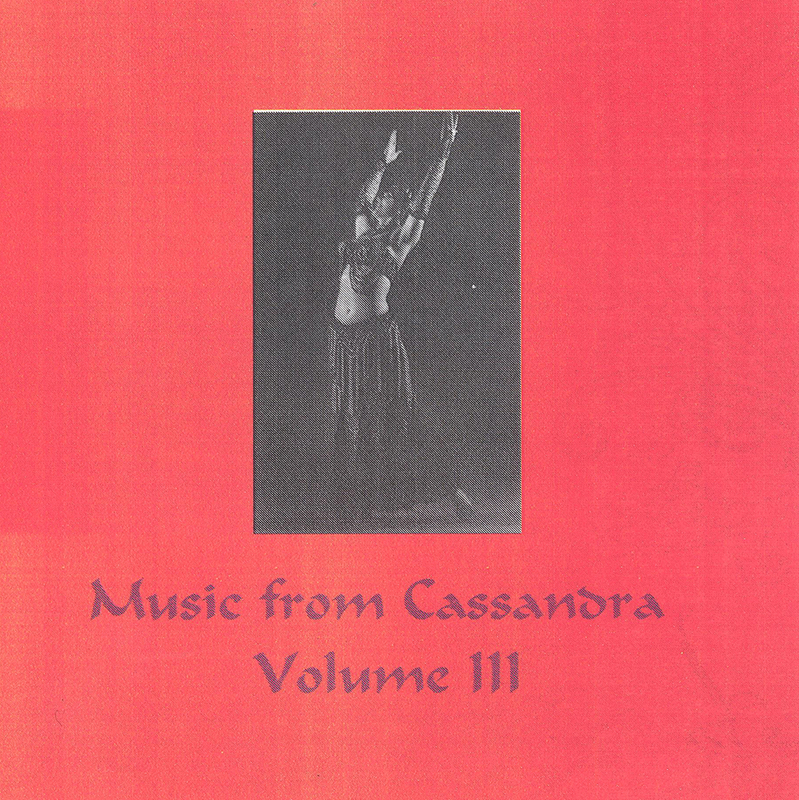 Even more of Cassandra's favorite performance music. 60 minutes. Includes shipping. 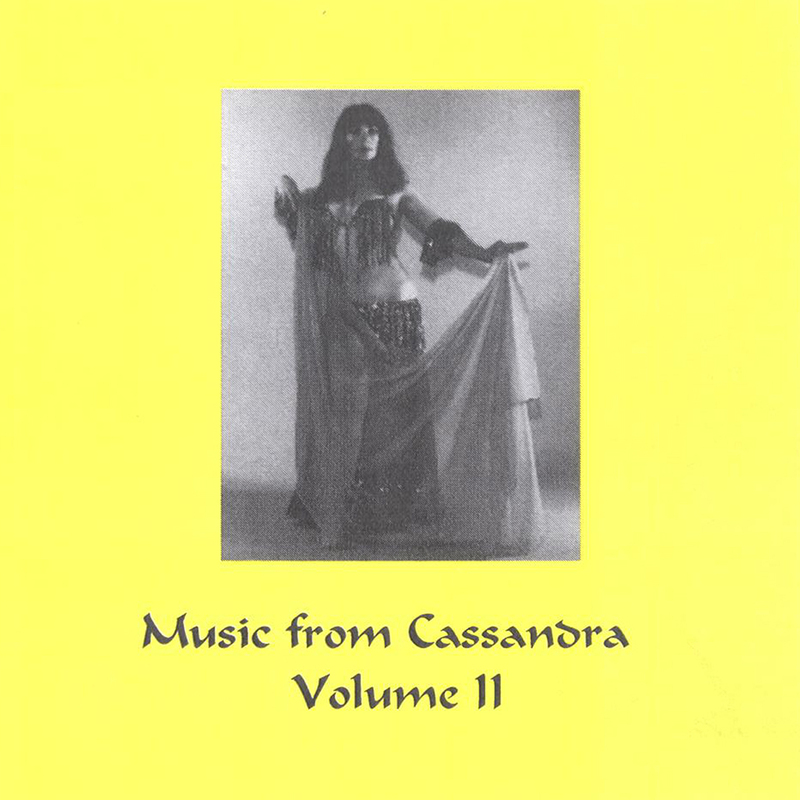 Yet more of Cassandra's favorite performance music. Songs by Ahmad Adawayya. 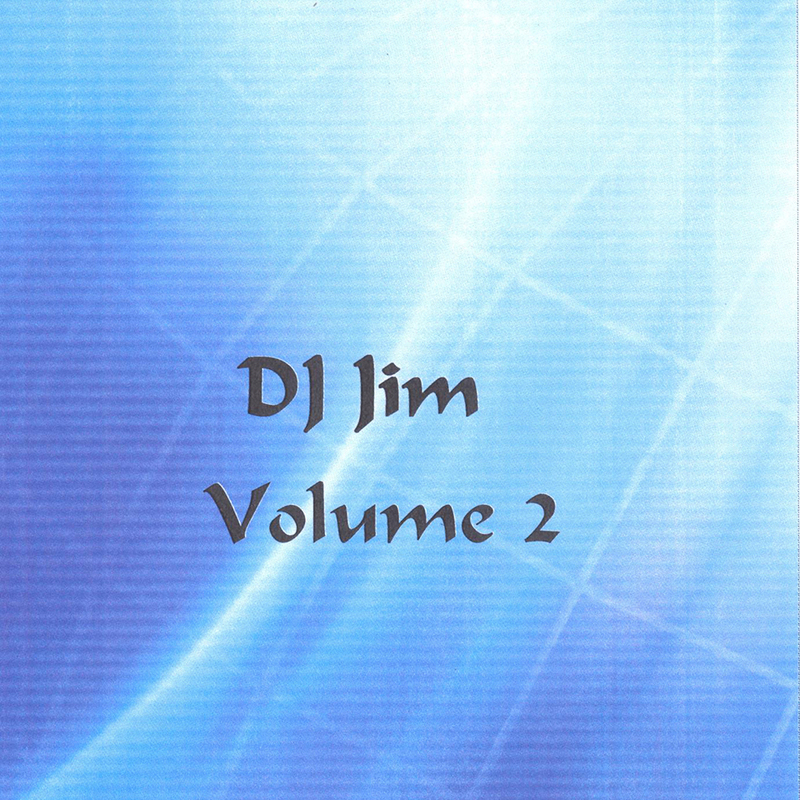 Includes music for two 20-minute routines. 60 minutes. Includes shipping. These CDs give you the music we used in our shows. They are not recorded from the performances. 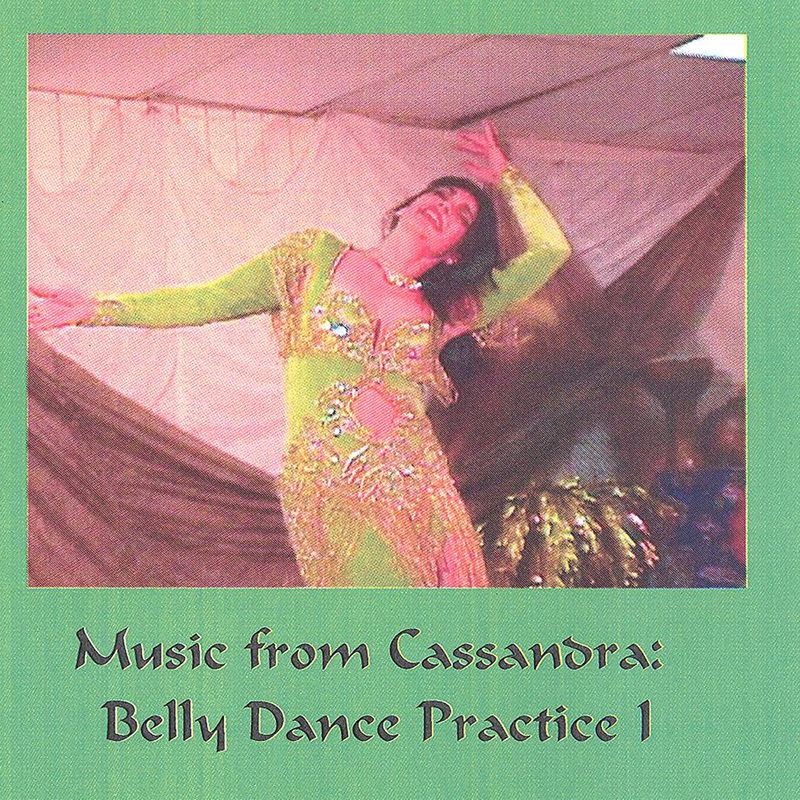 Cassandra says, "There is a famous song by Oum Kalsoum; in Arabic its title is Ghanilli Schwey Schwey, which translates more or less to sing to me a little. It's a charming song, asking her sweetheart to serenade her, and VERY well known in Arab music circles." Includes shipping. 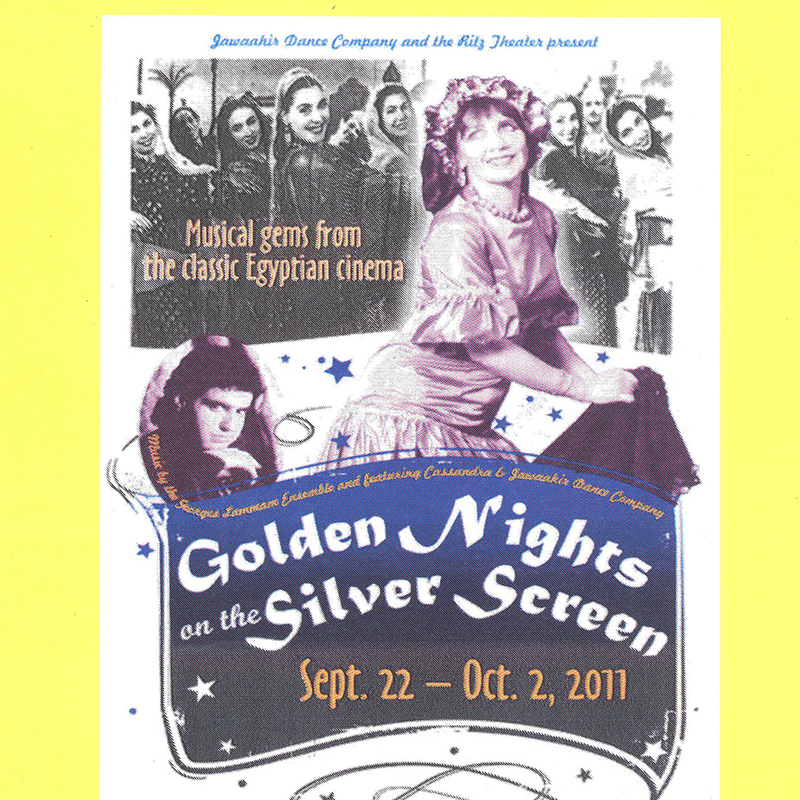 Music from the golden age of cinema in Cairo, the Hollywood of the Middle East in the 1930s and 40s, that inspired Cassandra for this show. Includes shipping. You can save the $5 shipping fee by picking up your shirt at class, if it's available. If you have questions, please contact the office and we will help you. 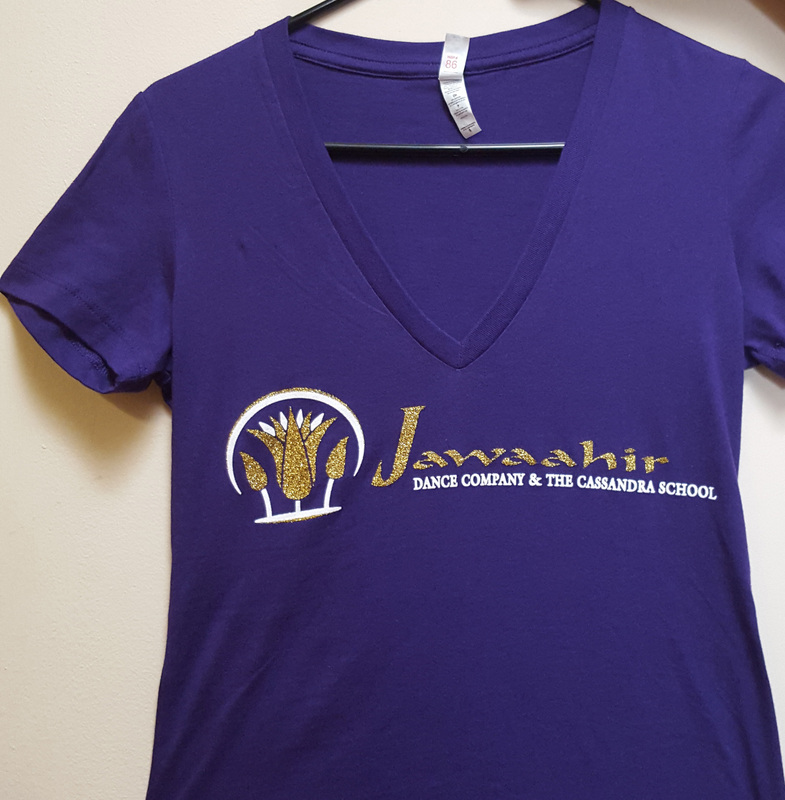 New Jawaahir logo in gold glitter on dark purple v-neck t-shirt. Includes shipping. 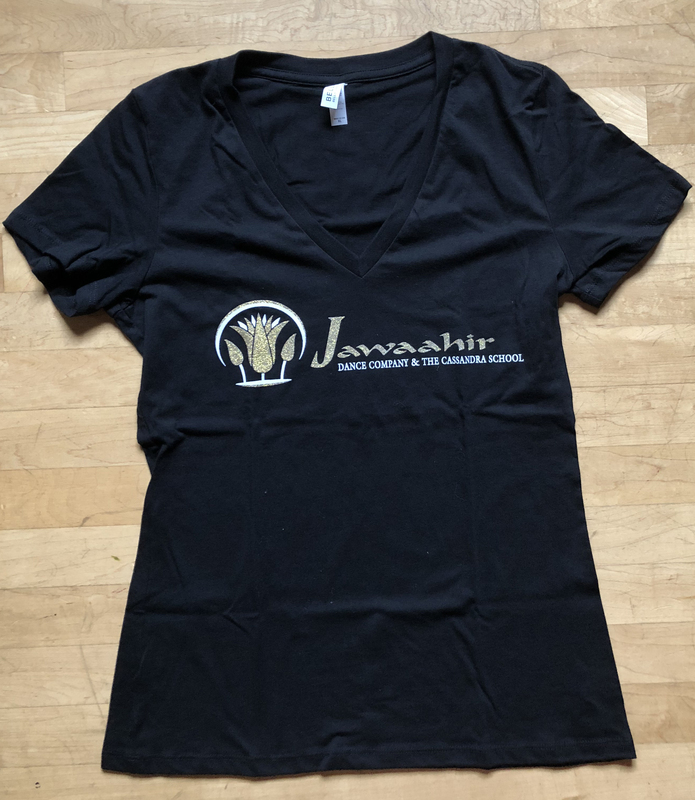 New Jawaahir logo in gold glitter on black v-neck t-shirt. Includes shipping. 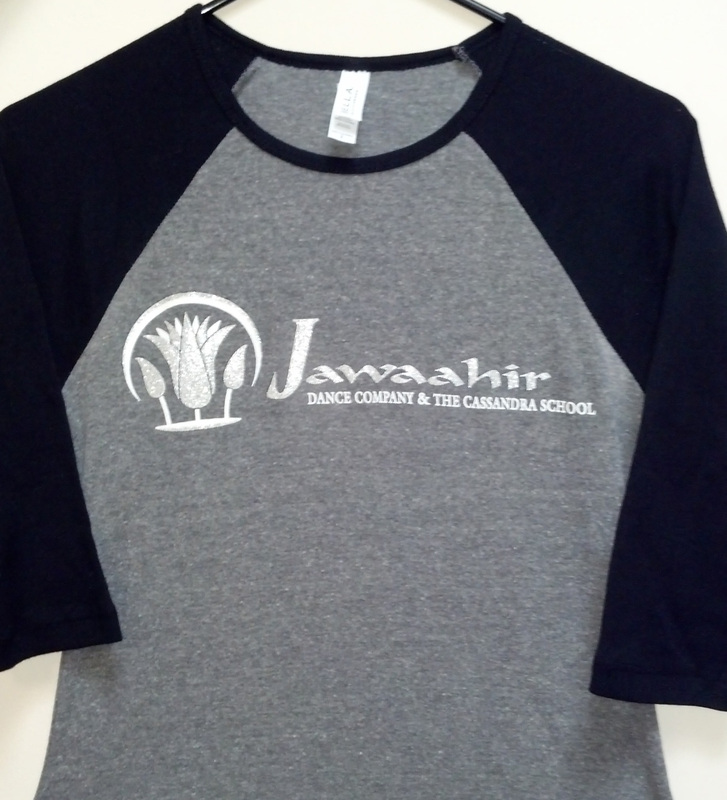 New Jawaahir logo in silver glitter on gray and black 3/4 length sleeved shirt. Includes shipping. These original logo t-shirts come in a variety of fun colors. Sizing runs a little small. Includes shipping. 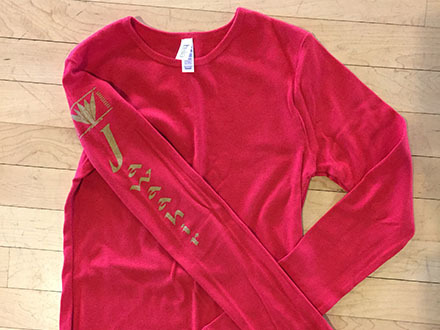 These long-sleeved shirts come in red, black, and white with the original logo printed in gold down one sleeve. Includes shipping. 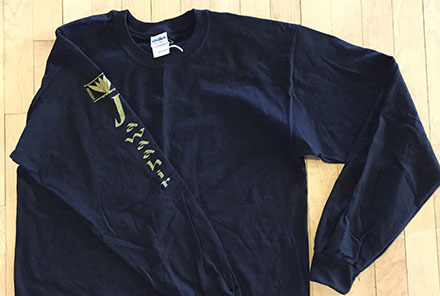 These long-sleeved men's shirts come only in black with the original logo down one sleeve. Includes shipping. 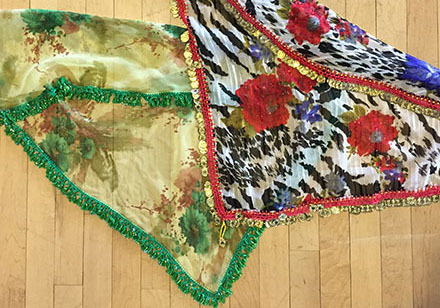 Beautiful hip scarves are available for purchase at the studios, ranging in price from $22 to $55. 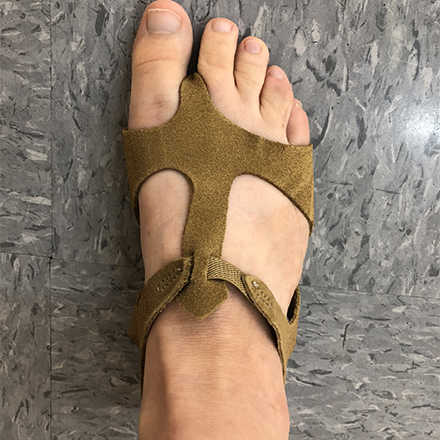 We also have half-soled dance sandals in various sizes. Ask your teacher to see the current selections. 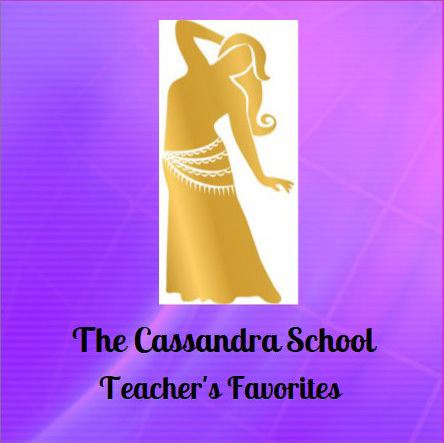 The Cassandra School, founded in 1987, is the teaching arm of Jawaahir Dance Company.